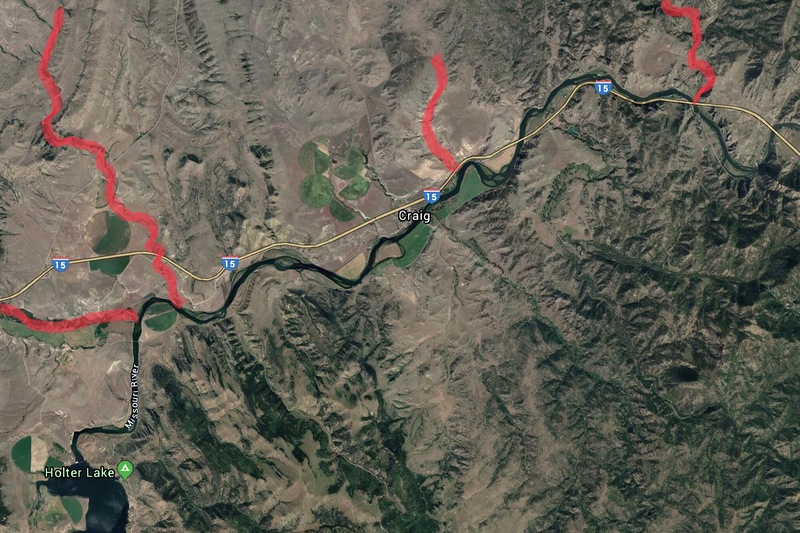 As of last night, here’s the hurdles you’ll face if fishing the Missouri this weekend. The biggest problem continues to be boat access on the lower river. Open for launching are Holter Dam, Wolf Creek, Craig, Stickney Creek, Spite Hill, and Mid-Canon boat ramps. Below that, it’s a no go. At least in a hard boat. Mountain Palace, Prewett Creek and Pelican are all buried in snow/ice. You could pull off a float in an inflatable I suppose. 1 person craft will have no problem, and could access some other spots as well. On to the dirty water. Both Little Prickly Pear and the Dearborn are running fast, and have ranged between “off-color” and “blown out” in the last week. Expect that behavior to continue. Seasonal streams like Rock Creek and an unnamed gulch on the Judeman ranch (just downstream from Craig) have also been contributing mud. And we haven’t noticed Wagner Creek spewing red silt into the river yet but it will. So. If you’re headed to Craiglandia this weekend, expect to be floating either Dam to Craig or Craig to Mid-Canon. And be prepared for off-color water. Bring some worms and big pink scuds like the Amex.